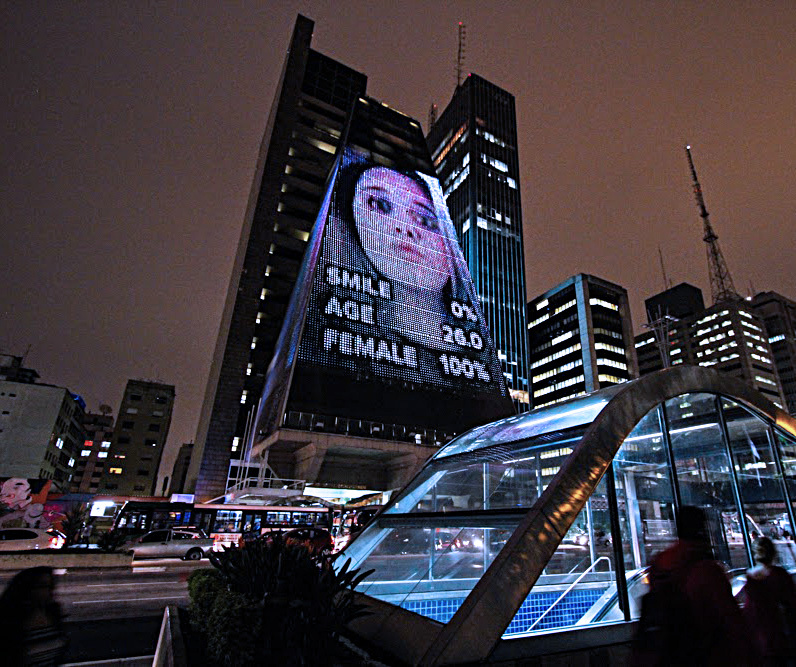 SelfieSaoPaulo is designed for the large media façade in the center of Sao Paolo. Individual Sao Paolo Instagram selfie photos are sorted by three characteristics and animated over time. One animation presents the photos organized by estimated age, another by gender, and the third by the amount of smile. The science used to focus on nature, with smartest people coming to work in physics, chemistry, astronomy and biology. Today, the social has become the new object of science, with hundreds of thousands of computer scientists, researchers and companies mining and mapping the data about our behaviors. In this way, the humans have become the new "nature" for the sciences. The implications of this monumental shift are only beginning to unfold. Will we become the atoms in the "social physics," first dreamed by the founder of sociology Auguste Comte in the middle of the 19th century? SelfieSaoPaulo of course cannot answer this - but by contrasting expressive and unique faces of the selfie subjects and the numbers software reduces them to, it makes the question itself visible. 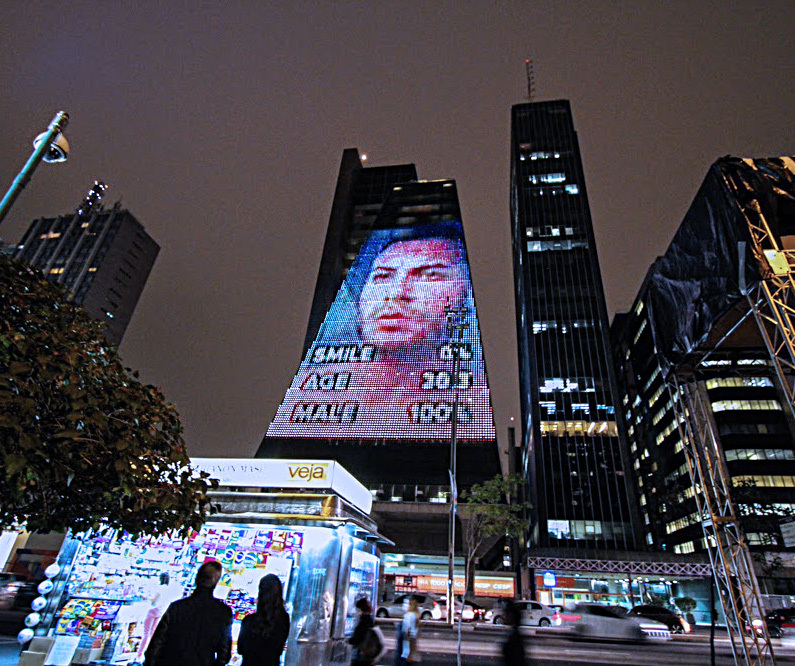 SelfieSaoPaulo was commissioned by Verve Cultural. The media façade program of the exhibition Performance: Digital Expressions is curated by Marilia Pasculli (Artistic Director of Verve Cultural) and Tanya Toft (Curator and Ph.D. Fellow at Institute of Arts and Cultural Studies, Copenhagen University). SelfieSaoPaulo runs every evening for the duration of the festival: June 9 to July 7, 2014. The media façade is located at the building FIESP / SESI and Alameda das Flores (Avenida Paulista 1313).